I've always liked the idea of having a scrapbook but have just never got round to taking the plunge and actually starting one - like most things. But after watching Lily Pebbles YouTube video all about how much she loves scrapbooking and realistically how easy it can be once you get going. She used Project Life which you can buy from Hobbycraft, but when I went to the store and realised just how expensive it was I decided to just buy a Hobbycraft own version which worked out much, much cheaper. 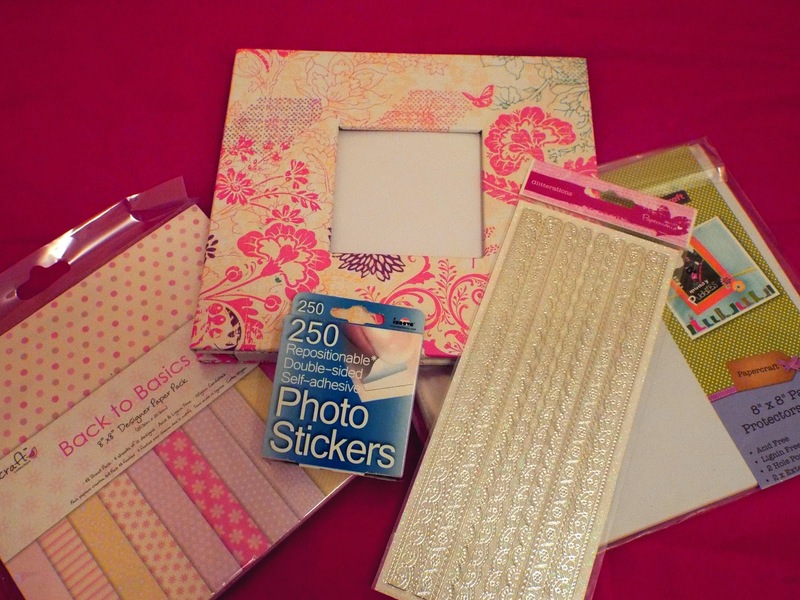 I also wanted a smaller scrapbook as I thought the larger ones could be a little overwhelming and very space consuming. The design which I choose was the Vintage Large Floral Print 8x8 for just £6, and then I choose the design papers and more pages to fill the book with. I loved the idea of photo stickers to make things much easier and I bought the pretty silver outline stickers to put around the photos. Everything costs under £15 which I think is really good value. I am really looking forward to starting this little project of mine and slowly but shortly filling it with thoughtful memories, and I also think its going to be really fun and give me a little hobby to do. I will do a future blog post letting you no how I get on with this, as I am really excited to get started! Do you have a scrapbook? if so please leave me with any advice or posts which you written or found useful.